The “Big Four” leaders of the House Transportation & Infrastructure (T&I) Committee, and the Senate Environment & Public Works (EPW) Committee, each wrote exclusive guest columns for the January-February issue of ARTBA’s “Transportation Builder” magazine. We are reproducing these columns in Newsline. 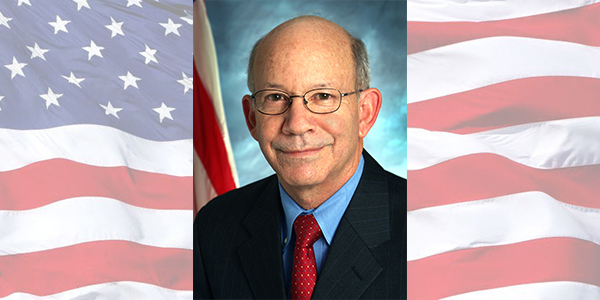 Rep. Peter DeFazio is ranking member of the House Transportation & Infrastructure Committee. The House Transportation & Infrastructure Committee has a tradition of enacting bipartisan legislation that invests in our crumbling infrastructure, strengthens our economy, and creates good-paying jobs for Americans. In the 114th Congress, I worked with Chairman Bill Shuster to reauthorize the U.S. Coast Guard, the U.S. Department of Transportation’s (U.S. DOT) pipeline safety program, and the U.S. Army Corps of Engineers’ (Corps) navigation, flood control and environmental restoration projects. We also passed the FAST Act, a five-year surface transportation reauthorization that provides $281 billion in guaranteed funding for highways, highway safety, and transit infrastructure. The FAST Act was a step in the right direction, but it failed to provide the level of investment needed to begin to repair and rebuild our Nation’s backlog of aging and deteriorating transportation infrastructure. As Ranking Member, I have long advocated for increased investments in our Nation’s roads, bridges and transit systems. A strong transportation network improves the quality of life of our citizens, creates good-paying jobs, and keeps us competitive in the world economy. According to U.S. DOT, every $1 billion invested in transportation infrastructure creates or sustains tens of thousands of jobs. Unfortunately, after years of underinvestment our infrastructure is falling behind. Once among the world leaders in quality infrastructure, the United States now ranks 11th – behind Switzerland, Japan, and the Netherlands. Experts say if the investment gap is not addressed throughout our infrastructure a sector by 2025, the economy is expected to lose $3.9 trillion in GDP. Our citizens rely on safe and efficient roads, rails, ports, planes, and public transit systems to move across the Nation and beyond, yet nearly one in four bridges in the U.S. is structurally deficient or functionally obsolete, 65 percent of our Nation’s roads are in less than good condition, our rail and bus transit systems are facing a $90 billion backlog, and full channels at the Nation’s 59 busiest ports are available less than 35 percent of the time, according to the Corps. Congress must get serious about finding concrete solutions to shore up and improve our transportation infrastructure. The good news is that there are solutions to address the growing backlog of critical projects without adding to the deficit. We could make the $9 billion balance of the Harbor Maintenance Trust Fund (HMTF) available to dredge our ports and inland harbors. The HMTF collects enough from shippers to meet the needs of all Federally-authorized ports, yet these funds are often diverted to hide the size of the budget deficit. Instead, we should use these funds maintain our ports, which will better enable U.S. businesses to export goods, level the playing field with our foreign competitors, and create and sustain family-wage jobs. We could also allow airports to increase their passenger facility charge (PFC) to pay for airport improvements. If Congress were to lift the current $4.50 cap on PFCs, it would create new revenue to invest in large airports and free up additional Federal funding to help smaller airports. Finally, I have a proposal to provide over $500 billion to improve our Nation’s highways, bridges, and public transit systems, reverse the Federal underinvestment and address future highway and transit needs through fiscal year 2030. My Investing in America: A Penny for Progress proposal authorizes the U.S. Department of Treasury to issue 30-year bonds that will be repaid by indexing the gasoline and diesel user fees, which were last adjusted in 1993 and have lost more than 40 percent of their purchasing power. It is estimated that this proposal will increase the gas and diesel user fees by approximately one cent per year. This penny increase would make real progress in addressing our nation’s infrastructure backlog. Transportation is not a partisan issue; it’s about moving people and goods more efficiently in this country and connecting us to the world. In the coming Congress, I plan to work with Chairman Shuster and President Donald Trump where we can find common ground and make real improvements.